Whether for residential or commercial purposes, Granger-Carter Construction & Development is the name to call for adding a room, improving a location and providing more pleasure and convenience in a building while increasing its resale value. Here is a striking example of one of our conversions of an outdated office structure into an attractive new facade with a cohesive appearance. 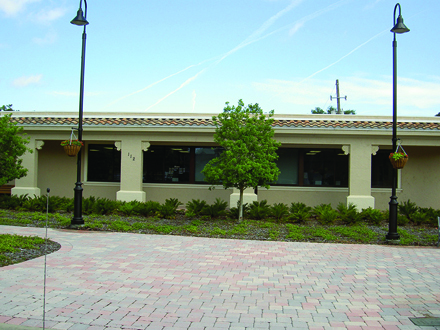 This renovation updated the exterior of the building to make it a more inviting and open atmosphere to their customers. 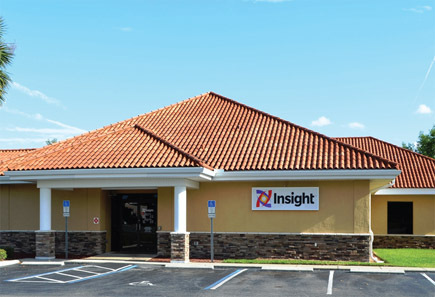 This was a complete interior remodel of an existing credit union banking facility which included updating the exterior front facade with a synthetic stone wainscot and completely painting the exterior. Older landscaping was removed and changed to clean up and freshen the exterior. 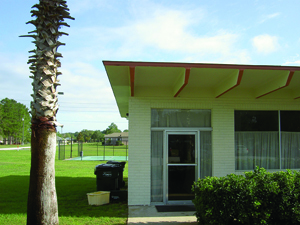 Beyond the exterior work seen here was the complete redesign and renovation of the interior. 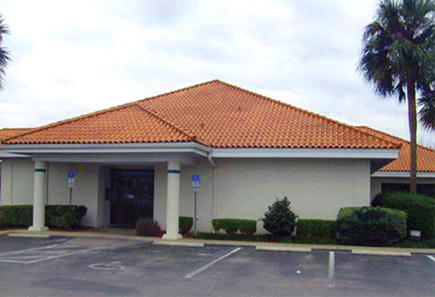 This is only one of four branches that we built or renovated for this credit union. 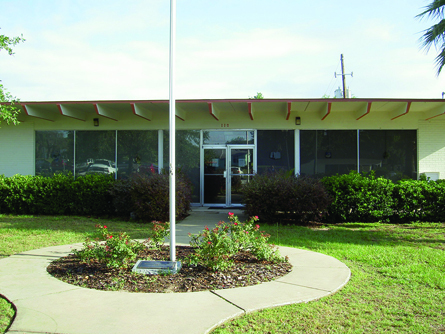 The town library that is located in an older convenience store building was remodeled to reflect the town's architectural theme. 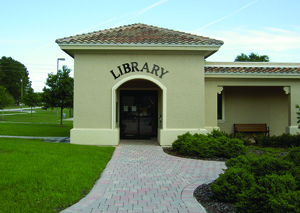 The library was also expanded to occupy the entire building. The interior was remodeled to make it energy efficient to the current codes and to provide a quieter environment on the interior. The tower entry was a new addition to this project. 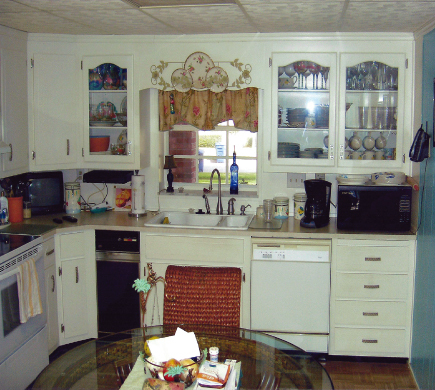 This was an older kitchen with painted cabinets in an older home. The existing ceiling had been dropped to the top of the existing cabinets. There was wasted wall space in the kitchen area. The ceiling was raised to its original height. 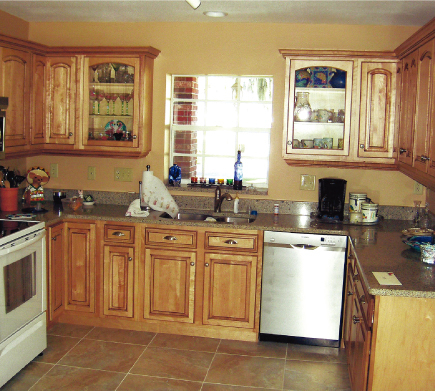 The cabinets were replaced with stained wood cabinets keeping approximately the same kitchen layout. Additional cabinetry and counter top space was gained by using an existing blank wall.